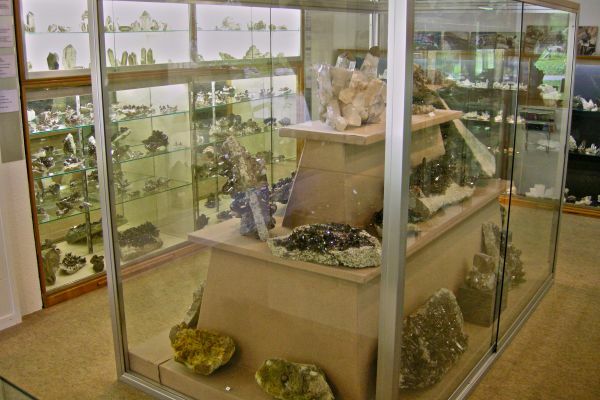 Whether small or big – people are fascinated of pure crystals and valuable minerals. Since centuries adventurers are attracted by the hidden treasures in the mountains. But how are getting crystals there? 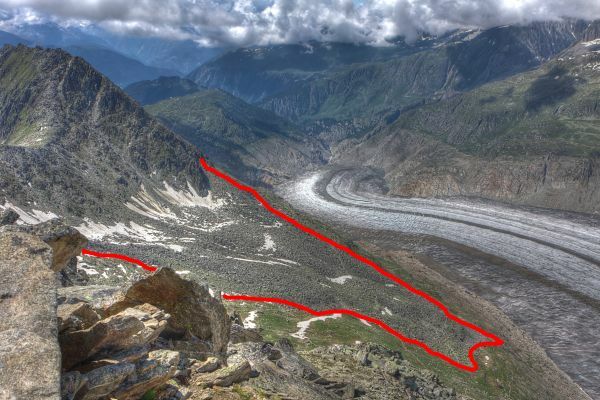 A view into the history of the Alps answers this mystery. 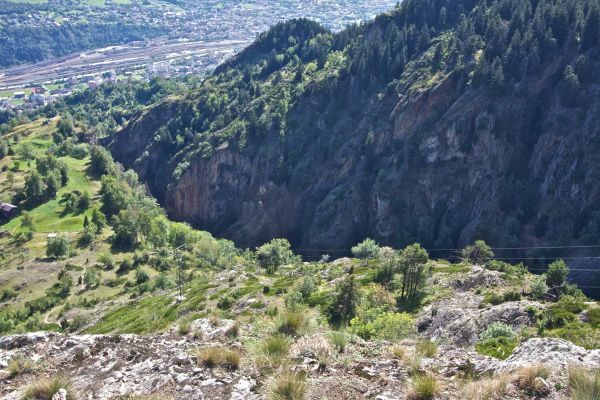 In order to investigate this phenomenon, one must look back to the time of the emergence of the Alps: they were lifted during the clash of the European and African continents about 65 million years ago. 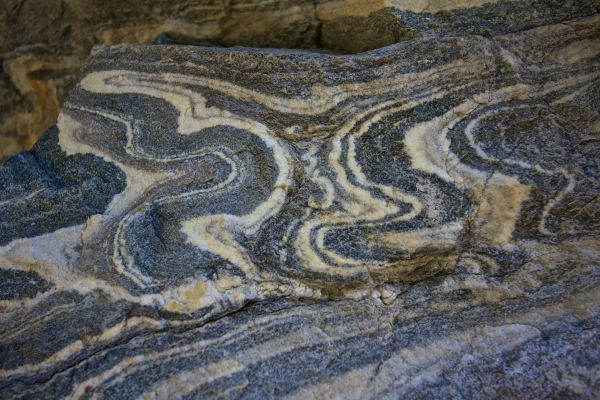 During this Alpine folding, cracks and fissures in the brittle rock were formed in a great depth, 10-12 km below the earth's surface. In these cracks, extremely hot and aggressive waters flowed, reacting chemically with the surrounding rock, releasing minerals, the components of the rocks. 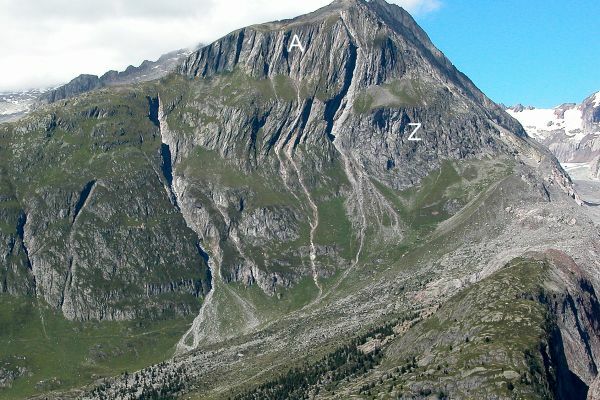 With the progressing elevation of the Alps and the onset of the erosion, these extension clefts came closer to the earth’s surface and cooled down: gradually, the dissolved minerals began to harden and crystallize. 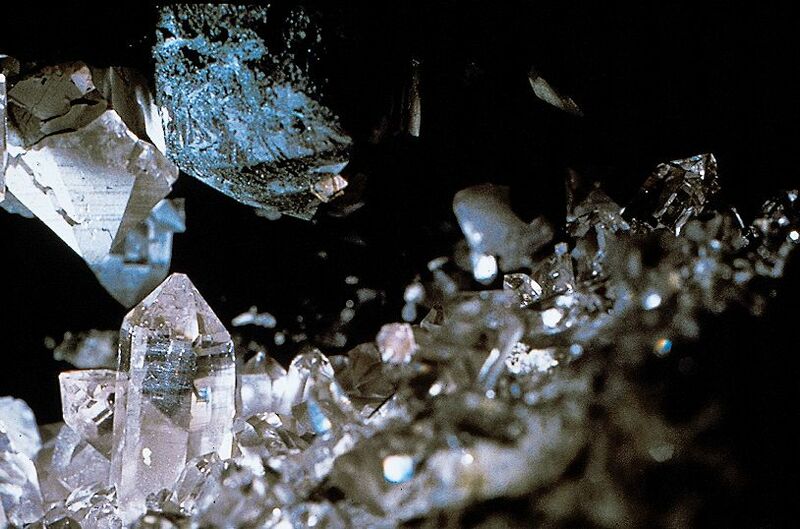 The growth of the crystals that are found today has therefore been concluded since a long time. Its formation is lasting unimaginably long: the famous cleft quartz on the Zinggenstock grew, for example, up to 7 million years. Until they were discovered by crystal searchers, another 10-20 million years passed. 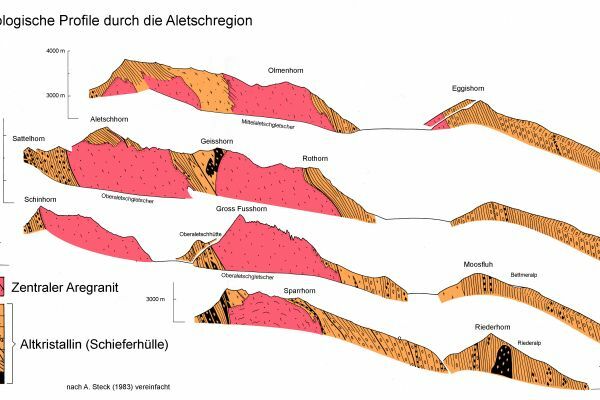 In the Alps there are many such clefts: usually the fissures are 0,5 to 2 m long, more rarely they reach a length of 5 -10 m. Larger caverns, in which one can walk upright, are exceptions. 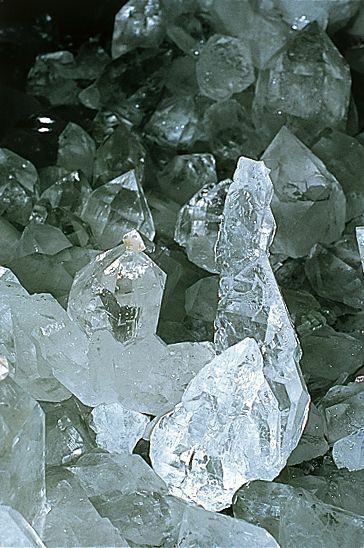 In the Alps findings of different quartz crystals are very frequent: transparent rock crystal, smoky quartz and pink rose quartz. 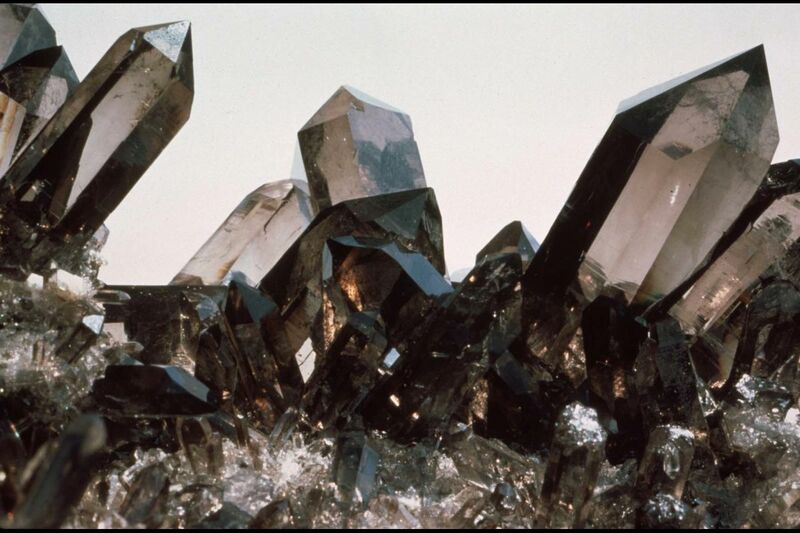 But also, numerous other minerals such as pyrite, galena, fluorite and many more occur and can be found. 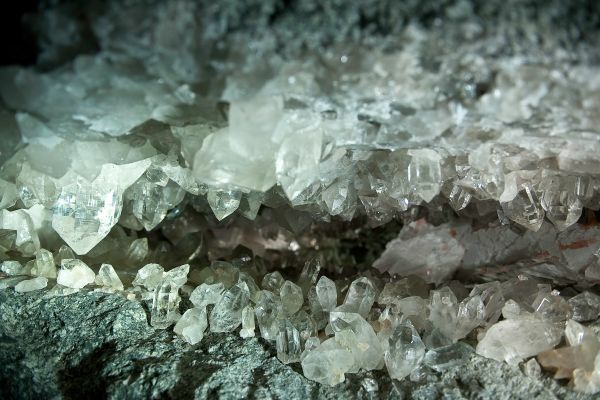 The Grimsel area is a remarkable reference place in the World Heritage Region: the crystal caves of the Grimsel are known world-wide due to the size and beauty of their quartz. 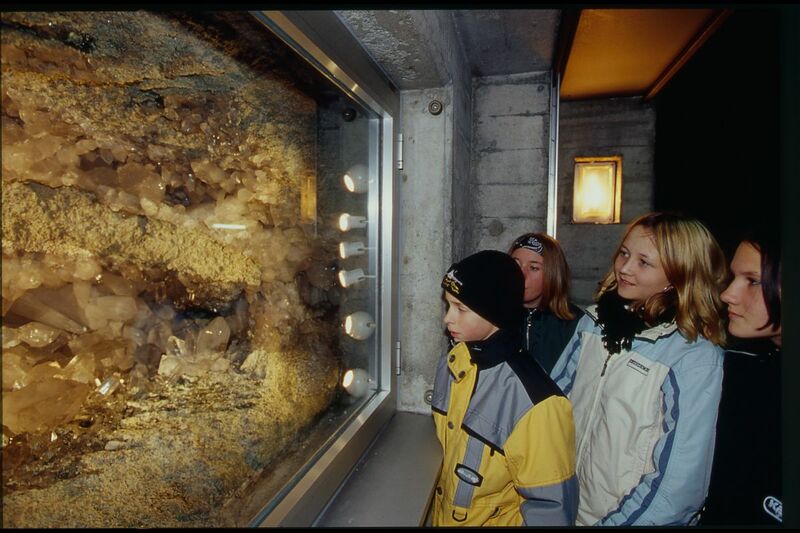 In the Gerstenegg cavern in the hydropower plant KWO you can get a insight into one of the world's most beautiful and richest crystal cleft.